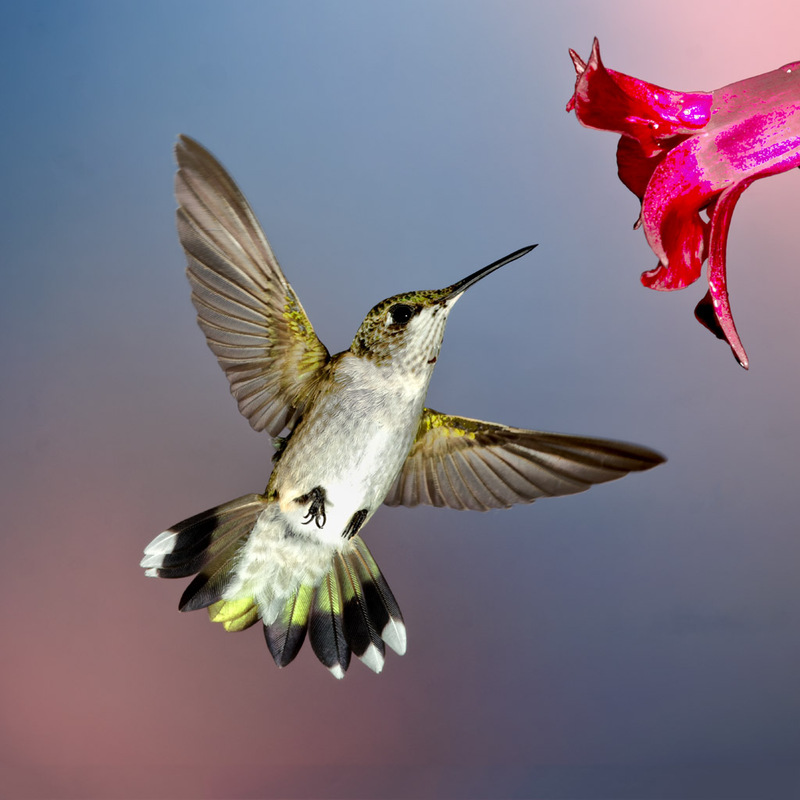 Hummingbird metabolism is a marvel of evolutionary engineering. These tiny birds can power all of their energetic hovering flight by burning the sugar contained in the floral nectar of their diet. Now new research from the University of Toronto Scarborough (UTSC) shows these tiny birds are equally adept at burning both glucose and fructose, which are the individual components of sucrose; a unique trait other vertebrates cannot achieve. "Hummingbirds have an optimal fuel-use strategy that powers their high-energy lifestyle, maximizes fat storage, and minimizes unnecessary weight gain all at the same time," says Dr. Kenneth Welch, assistant professor of biological sciences at UTSC and an expert on hummingbirds. Dr. Welch and his graduate student Chris Chen, who is co-author of the research article, fed hummingbirds separate enriched solutions of glucose and fructose while collecting exhaled breath samples. The researchers found that the birds were able to switch from burning glucose to fructose with equal facility. "What's very surprising is that, unlike mammals such as humans, who can't rely on fructose to power much of their exercise metabolism, hummingbirds use it very well. In fact, they are very happy using it and can use it just as well as glucose," says Dr. Welch. Hummingbirds require an incredible amount of energy to flap their wings 50 times or more per second in order to maintain hovering flight. In fact, if a hummingbird were the size of a human, it would consume energy at a rate more than 10 times that of an Olympic marathon runner. They are able to accomplish this by burning only the most recently ingested sugar in their muscles while avoiding the energetic expenditure of first converting sugar into fat. Dr. Gerald Zon’s latest “Zone in with Zon” blog post, dated December 2, 2013, and published by TriLink BioTechnologies of San Diego, provides a fascinating discussion of the developing use of modified mRNAs in a wide variety of key applications, including gene therapy, nucleic acid vaccines, and cellular reprogramming, as well as the possibly tremendous commercial potential of modified mRNA technology in these and other areas. Dr. Zon begins by discussing the intellectual simplicity of gene therapy, i.e., to simply replace a broken gene with the DNA of the normal gene and thus ultimately generate the normal version of the missing or altered protein. Unfortunately, it has proven remarkably difficult over three decades of work to achieve this effectively and safely. Dr. Zon attributes this in part to the challenges for cell- or tissue-specific delivery, as well as concern for adverse events generally ascribed to unintended vector integration leading to neoplasias. Nevertheless, there are presently more than 1700 clinical trials of gene therapy taking place around the world. However, as a consequence of the slow progress of DNA-based gene therapy, a number of researchers have recently turned to the study of modified mRNAs that might be used to produce the missing protein directly by translation. This field is called “mRNA therapeutics.” Another application is in the use of mRNAs as cancer vacccines. Here the idea is to use mRNAs coding for tumor-associated antigens to induce specific immune responses to the tumor. Dr. Zon notes that a 2013 review from Novartis Vaccines & Diagnostics, and entitled “RNA: the New Revolution in Nucleic Acid Vaccines,” claims that the “prospects for success are bright.” The reasons for this, Dr.
A study published in the September 18, 2013 issue of the Journal of Neuroscience points, for the first time, to the gene NTRK3 (neurotrophic tyrosine kinase receptor type 3) (also known as trkC) as a factor in susceptibility to the disease. The researchers define the specific mechanism for the formation of fear memories which will help in the development of new pharmacological and cognitive treatments. An estimated five out of every 100 people in Spain suffer from panic disorder, one of the diseases included within the anxiety disorders, and those affected experience frequent and sudden attacks of fear that may influence their everyday lives, sometimes even rendering them incapable of things like going to the shops, driving the car, or holding down a job. It was known that this disease had a neurobiological and genetic basis and for some time the search had been on to discover which genes were involved in its development, with certain genes being implicated without their physiopathological contribution being understood. Now, for the first time, researchers from the Centre for Genomic Regulation (CRG) have revealed that the gene NTRK3, responsible for encoding a protein essential for the formation of the brain, the survival of neurones and establishing connections between them, is a factor in genetic susceptibility to panic disorder. "We have observed that deregulation of NTRK3 produces changes in brain development that lead to malfunctions in the fear-related memory system," explains Dr. Mara Dierssen, head of the Cellular and Systems Neurobiology group at the CRG. Research jointly conducted by investigators at Institut Gustave Roussy, Inserm, Institut Pasteur and the INRA (French National Agronomic Research Institute) has led to a rather surprising discovery on the manner in which cancer chemotherapy treatments act more effectively with the help of the intestinal flora (also known as the intestinal microbiota). Indeed, the researchers have just shown that the efficacy of one of the molecules most often used in chemotherapy relies to an extent on its capacity to mobilize certain bacteria from the intestinal flora toward the bloodstream and lymph nodes. Once inside the lymph nodes, these bacteria stimulate fresh immune defenses which then enhance the body’s ability to fight the malignant tumor. Results of this work were published in the November 22, 2013 issue of Science. The intestinal microbiota is made up of 100,000 billion bacteria. It is a genuine organ, because the bacterial species that comprise it carry out functions crucial to our health, such as the elimination of substances that are foreign to the body (and potentially toxic), or keeping the pathogens that contaminate us at bay. They also ensure the degradation of ingested food, for better intestinal absorption and optimal metabolism. These millions of bacteria colonize the intestine from birth, and play a key role in the maturation of the immune defenses. However, the bacterial species that make up the intestinal microbiota vary from one individual to another, and the presence or absence of one or another bacterial species seems to influence the occurrence of some diseases, or, conversely, may protect us. 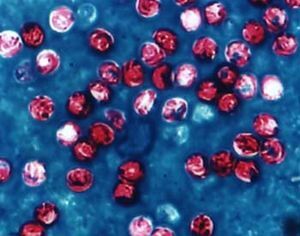 In the developing world, Cryptosporidium parvum has long been the scourge of freshwater. A decade ago, it announced its presence in the United States, infecting over 400,000 people – the largest waterborne-disease outbreak in the county's history. Its rapid ability to spread, combined with an incredible resilience to water decontamination techniques, such as chlorination, led the National Institutes of Health (NIH) in the United Sates to add C. parvum to its list of public bioterrorism agents. Currently, there are no reliable treatments for cryptosporidiosis, the disease caused by C. parvum, but that may be about to change with the identification of a target molecule by investigators at the Research Institute of the McGill University Health Centre (RI-MUHC). The findings of this study were published online on September 23, 2013 in the Antimicrobial Agents and Chemotherapy (AAC) journal. 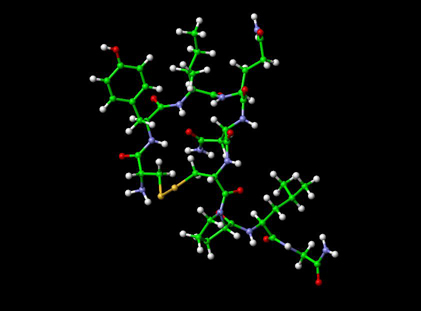 "In the young, the elderly, and immunocompromised people such as people infected with HIV/AIDS, C. parvum is a very dangerous pathogen. Cryptosporidiosis is potentially life-threatening and can result in diarrhea, malnutrition, dehydration, and weight loss," says first author of the study, Dr. Momar Ndao, Director of the National Reference Centre of Parasitology (NRCP) at the MUHC and an Assistant Professor of the Departments of Medicine, Immunology, and Parasitology (Division of Infectious Diseases) at McGill University. The oocysts of C. parvum, which are shed during the infectious stage, are protected by a thick wall that allows them to survive for long periods outside the body as they spread to a new host. C. parvum is a microscopic parasite that lives in the intestinal tract of humans and many other mammals. How is the bond between people in love maintained? Scientists at the Bonn University Medical Center have discovered a biological mechanism that could explain the attraction between loving couples: if oxytocin is administered to men and if they are shown pictures of their partner, the bonding hormone stimulates the reward center in the brain, increasing the attractiveness of the partner, and strengthening monogamy. The results were published online on November 25, 2013 in PNAS. Monogamy is not very widespread among mammals; human beings represent an exception. Comparatively many couples of the species Homo sapiens have no other partners in a love relationship. For a long time, science has therefore been trying to discover the unknown forces that cause loving couples to be faithful. "An important role in partner bonding is played by the hormone oxytocin, which is secreted in the brain," says Professor Dr. René Hurlemann, Executive Senior Physician at the Inpatient and Outpatient Department of Psychiatry and Psychotherapy of the Bonn University Medical Center. A team of scientists at the University of Bonn under the direction of Professor Hurlemann and with participation by researchers at the Ruhr University of Bochum and the University of Chengdu (China) examined the effect of the "bonding hormone" more precisely. The researchers showed pictures of their female partners to a total of 40 heterosexual men who were in a permanent relationship – and pictures of other women for comparison. First a dose of oxytocin was administered to the subjects in a nasal spray; and then a placebo at a later date. Furthermore, the scientists also studied the brain activity of the subjects with the help of functional magnetic resonance tomography. Mexico is one of the top five bee-producing countries worldwide and the second in exportation. However, the beekeepers can see their production being affected by the attack of a parasite, the Varroa acari, a type of mite, which feeds on hemolymph of the bees. Currently, the control methods employed are of synthetic origin, but face the main problem of generating resistance in the acari, which reduces the control’s effectiveness; in addition, is not rare to find traces of it in the bee wax and honey. A press release issued November 25, 2013, said that research by the National Institute of Forest, Agricultural, and Livestock Research (INIFAP), indicated that not treating the colonies infested by Varroa acari can lead to a 65 per cent loss in production in comparison to colonies where the acari is controlled. Seeing this disparity, researchers from the INIFAP talked to the beekeepers about organic control of the pest employing powdered thymol, which is easy to employ and cheaper. In addition, the acari doesn’t develop resistance to it nor does it generate residue on honey or bee wax if generated properly. Dr. Miguel Arechavaleta Velasco, head of research at the INIFAP, explains that Varroa is an acari that feeds on bee hemolymph; like a tick, it produces a disease in the colony called varroasis that can kill entire hives, being the main problem that beekeepers face worldwide. “Among the organic products that we have studied, thymol has given encouraging results; it’s an essential oil obtain from thyme. There are commercial thymol-based products for Varroa control, but we developed a different application form, resulting in easier and cheaper (administration by) the beekeeper.” The proposed method consists in using powdered thymol mixed with powdered sugar. Research has suggested that a particular gene in the brain's reward system contributes to overeating and obesity in adults. This same variant (the seven-repeat allele of the dopamine receptor 4 gene—DRD4) has now been linked to childhood obesity and tasty food choices, particularly for girls, according to a new study by Dr. Patricia Silveira and Professor Michael Meaney of McGill University and Dr. Robert Levitan of the University of Toronto. Contrary to "blaming" obese individuals for making poor food choices, Dr. Meaney and his team suggest that obesity lies at the interface of three factors: genetic predispositions, environmental stress, and emotional well-being. These findings, published in the February 2014 issue of the journal, Appetite, shed light on why some children may be predisposed to obesity, and could mark a critical step towards prevention and treatment. "In broad terms, we are finding that obesity is a product of genetics, early development, and circumstance", says Dr. Meaney, who is also Associate Director of the Douglas Mental Health University Institute Research Centre. The work is part of the MAVAN (Maternal Adversity Vulnerability & Neurodevelopment) project, headed by Dr. Meaney and Dr. Hélène Gaudreau, Project Coordinator. Their team studied pregnant women, some of whom suffered from depression or lived in poverty, and followed their children from birth until the age of ten. For the study, researchers tested 150 four-year old MAVAN children by administering a snack test meal. The children were faced with healthy and non-healthy food choices. Mothers also completed a questionnaire to address their child's normal food consumption and preferences.